The fact that “content is king” was made quite clear to marketers and writers way back in 2014. This was the year when the content fever had started to catch on the digital spectrum. Two years have passed since then. In fact, soon we will be ringing in 2017 which is both overwhelming and exciting at the same time. Content marketing has been warmly embraced by brands – irrespective of business size, industry or customer base. From blogs and social media to newsletters and push notifications, content is the pinnacle of all marketing efforts. 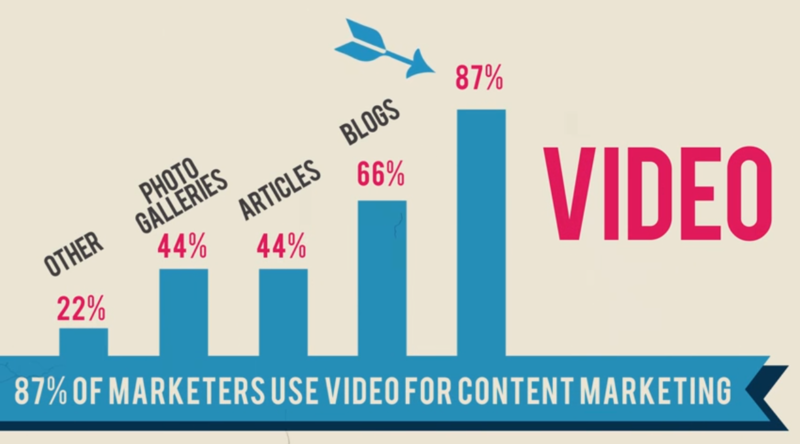 While rich media such as GIFs and visual collaterals such as infographics have already made a space in almost all content marketing strategies, it is the love for videos which is finally showing. Raise the bar of your brand in front of a younger, a more demanding audience with quality videos! With more and more companies targeting millennials, there is a need to tap into this market at the earliest. Have you noticed how BuzzFeed videos quickly become viral – even if the content is around lazy, fat cats?! 2017 is all about capturing viewer attention with videos – so, go for it! Fortune 100 companies attract hundreds of inbounds links. They have vast amounts of content indexed on search engines to give them credibility. But do you know they still fall short of a good SEO strategy? You will be shocked to know that 23% of Fortune 100 companies don’t use meta descriptions. 89% of them generally don’t name the images used on the website with keywords and dashes! 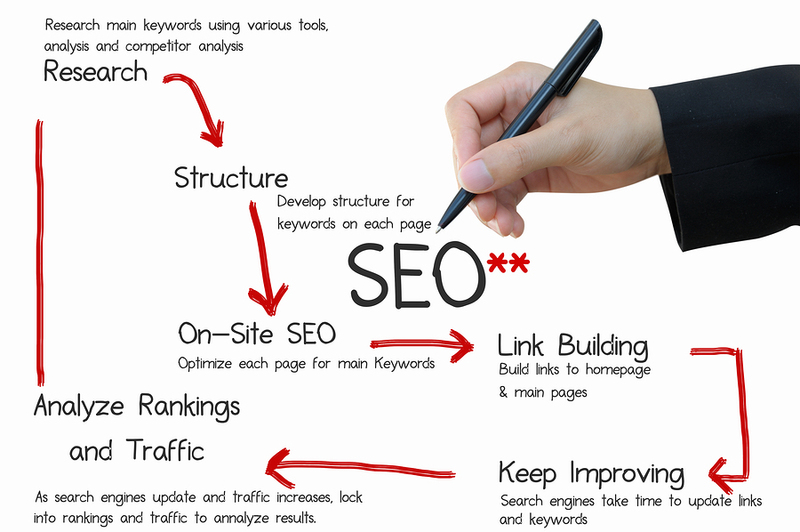 The situation is pretty bad which is why knowing at least the basics of SEO has become important. Google’s algorithm is constantly evolving. Perhaps, marketers should use this as a major reason to keep up with SEO as well? We can’t emphasize enough the importance of “very” used in the heading. We are sure you won’t surprised when we tell you that Snapchat has surpassed Facebook in total video views. Yes – it is about time businesses take this visual social media channel into consideration. Unless you are living under a rock, you have heard and even used Snapchat. You have send Snap Stories and wasted time using its filters. With 200 million users on board, 900 snaps are shared every second. Snapchat has effortlessly captured teens and young adults. And now, businesses are now finally capitalizing on its power. From food chains such as McD and KFC to news corporations such as The Guardian and BBC have their official accounts. Snapchat is muscling in on stories and popular events. It has made advertising more organic and instilled a sense of real-time. The Snapchat madness is on the rise. Good writing is one thing but leveraging it against technology is a whole new ball game altogether! When we talk about technology, we are not speaking of a specific software. In fact, content processes and personalization form a better part of this point. While enterprises have realized the importance of content and are aggressively using it across digital platforms, what they seem to lack is a “work flow”. To make real user experiences, content needs to be put in processes and steered accordingly. The act of randomly publishing and promoting content might work for a short while for the brand. But in the long run, a proper strategy – that answers the “whys” and “hows” – needs to be put in place. Oh, yes and it is going to be there for years to come. From long-form blog writing to short and smart copywriting, content has seen all this time and will still see multiple variations for years to come. Therefore, it is important for a business to invest in good writers. While some may believe that marketing is primary, such is not the case. If you can write, your marketing skills will automatically evolve because today content and marketing go hand-in-hand. What are your thoughts on these trends? Are you excited for next year? Drop in your comments.